SuperShow has been developed over the last five years to become a leading system for effectively managing agricultural shows. The innovative cloud based system has focussed on automating information gathering and reporting including competitor registration, competition schedules, show catalogues, show results winner payouts. One of the key additions to the Super Show system in 2018 has been automatic integration with Electronic Fund Payments (EFT) to reduce the paperwork ,cheque writing and postal costs for competition winner payouts. 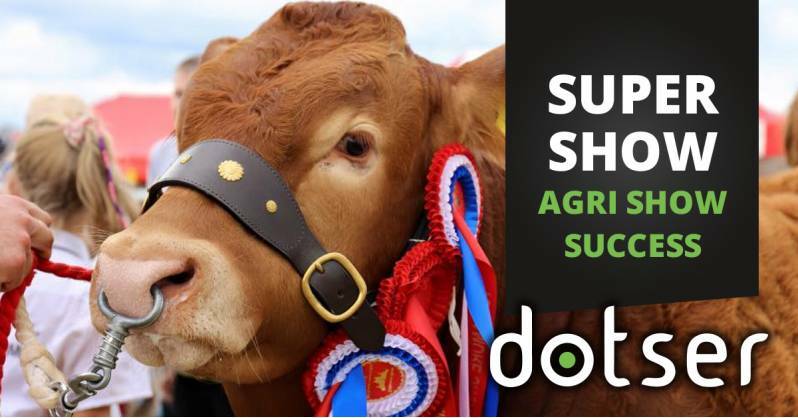 With new functionality being added each season it is not surprising Dotser has attracted the attention of the larger shows in Ireland and now boasts Tullamore Show, Cork Summer Show, Charleville Agricultural Show and Gorey Agricultural Show as early adopters of the latest in show management software. If you are considering reviewing your agri show to improve efficiencies, saving time and reducing costs, you should talk to the Show software experts at Dotser.